Out with the pancakes and in with the pho. A Vietnamese restaurant is taking over the former DJ’s Cafe space along Lincoln Street in Cap Hill. 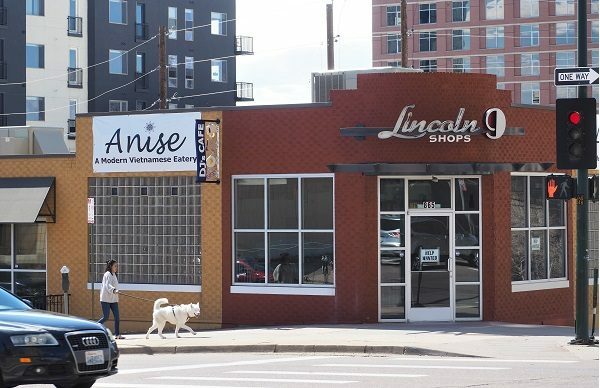 Anise’s website said that Executive Chef Quyen Trinh, a native of Saigon, attended the Auguste Escoffier School Of Culinary Arts in Boulder, and since has worked at Cholon, Cherry Hills Country Club and, most recently, at Olive and Finch. Once it opens, Anise — which derives its name from star anise, an ingredient in the classic Vietnamese soup known as pho — will be open for lunch from 11 a.m. to 2 p.m., with happy hour from 3 p.m. to 6 p.m. and dinner from 5 p.m. to 9 p.m. (11 p.m. on weekends). The space has been vacant since DJ’s 9th Avenue Café closed without warning in December 2017, at the same time another location along Tennyson Street in Berkeley closed. An outdoor gear retailer recently opened catty-corner to the restaurant space.